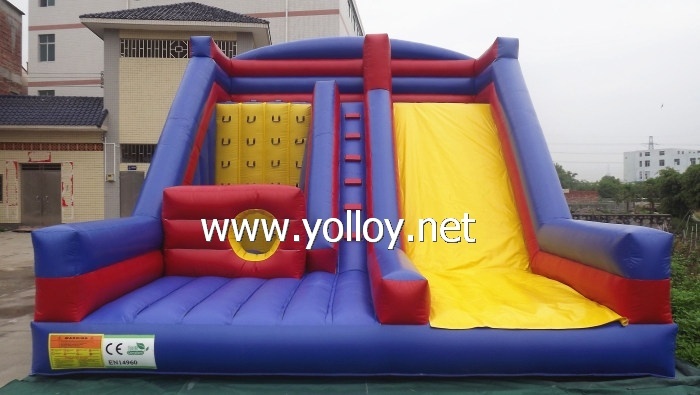 Our slides are as popular as our bouncy castles, this is an ideal garden slide which has foam steps and climbing wall leading upto the Platform. This particular design is known as a "front loading slide" and is easy to supervise making it a favourite for school fayres. Suitable for indoor hire where room height permits. Here following are some pictures for your reference, please check. Should you have any requirements, please feel free to contact us.